Walking through London was like walking through history. Although the core of the city has a modern look to it, it is surrounded by historical sights and highlights. It seems that with every new corner or street, there was some historical building, fountain or statue to be seen. Here are popular highlights of the city that most tourists want to see while in the city and other locations worth visiting while there. Even if you go to the city several times and spend a few days each time, you still will not have seen it all. 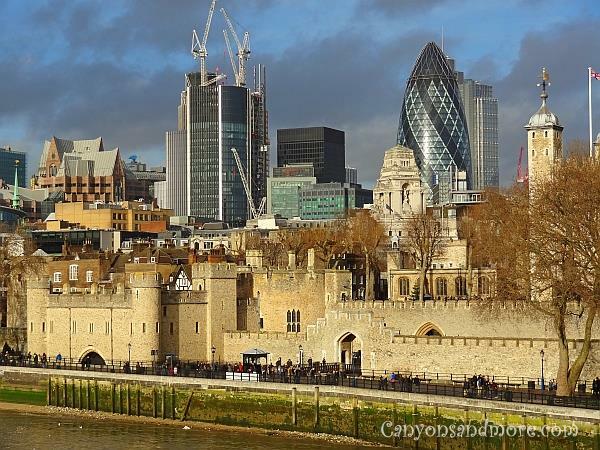 The image above shows the skyline of London - a constast of the old and new. The famous tower can be seen in the front and behind it the evergrowing modern side of London. 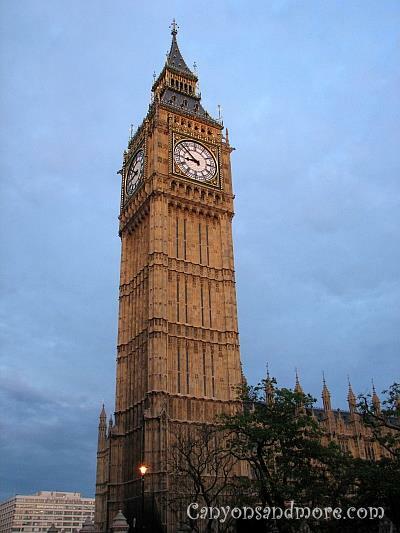 Probably the most famous icon of London is the clock tower of the Houses of Parliament. Some people believe the Big Ben to be the clock itself but actually Big Ben is the 13 ton heavy bell within the tower. Nevertheless, it is a sight worth seeing and looks even more impressive illuminated during the evening hours. 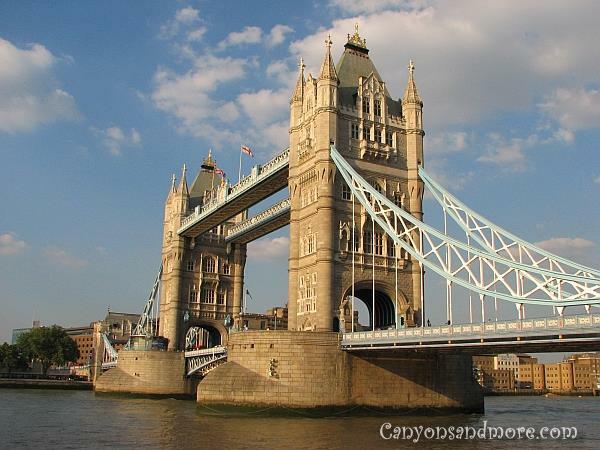 Another famous icons of London is The Tower Bridge. Magestically overlooking the Thames River, it is a favorite sight for tourists to visit while in London. 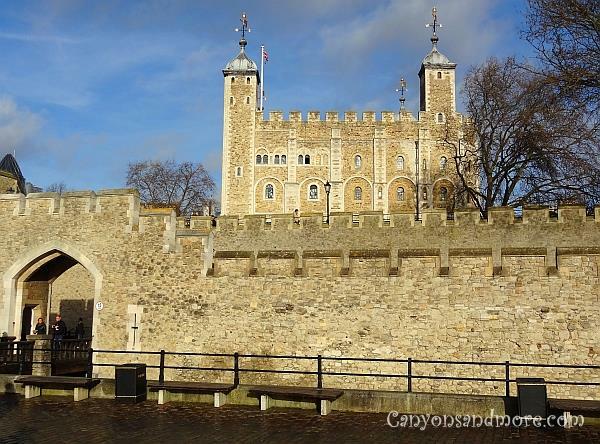 There are regular exibitions at the tower and tourists can choose to stroll across the walkways at the top of the bridge as well as next to the street at the base of the tower. Walking along the Thames in the evening is also charming when the bridge and all of the highlights of the city are illuminated. The Tower of London is full of historical events and you can easily spend a whole day as there is so much to see and discover. Once you pay your fee and are inside the walls of the tower, just follow one of the groups being lead by a Yeomen Warder in uniform at the beginning of your visit. He takes you to different areas of the tower and explains events and occurances that happened there throughout time. Also he will take you to the inside of the chapel there on the grounds where two wives of King Henry VII (Anne Boleyn and Catherine Howard) as well as 3 other famous historical persons such as Sir Thomas More are buried. Once you have finished the tour, you can wander throughout the grounds and discover the whole area within the tower and get a feeling of how it used to be for those residing here. 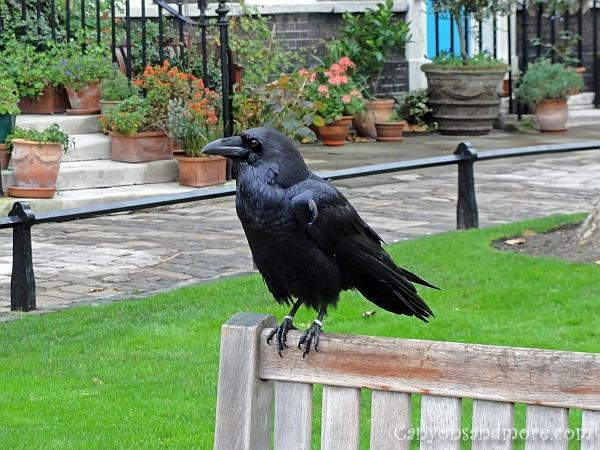 If you visit the Tower of London, you cannot overlook the ravens on the grounds. They are quite an attraction. Our Beefeater tour guide explained to us that there is a legend that if the ravens fly away, Britain and the crown will fall. Their wings are clipped so that they cannot fly away, but we did witness them flying short distances within the tower. They seem quite sociable and do not seem to be afraid of the tourists. The Tower of London itself is amazing to see and you can spend a whole day there looking at the exibits such as the crown jewels and armour uniforms. Here you will learn about the famous families such as the Tudors, Stewarts and Windsors. Do follow the Beefeater guides at the beginning to learn interesting facts and information. Afterwards you are on your own to explore the grounds. 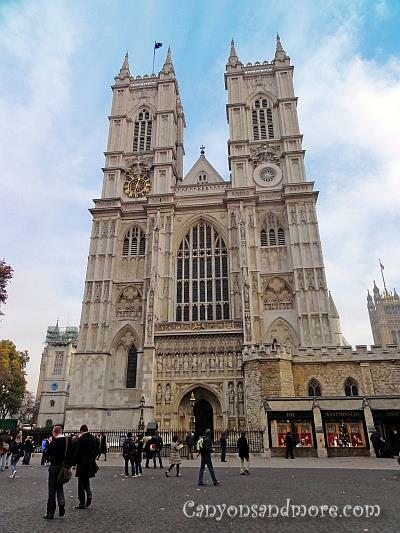 This is the Westminster Abbey and is otherwise known as the Collegiate Church of St. Peter at Westminster. It is probably the most famous church of England. Many English monarchs have been coronated and also later buried here. 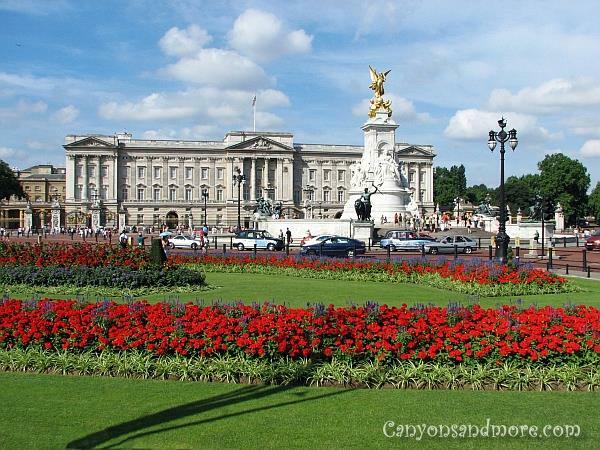 The Buckingham Palace is located in the City of Westminster and is naturally a must see for tourists and all fans of the royals. 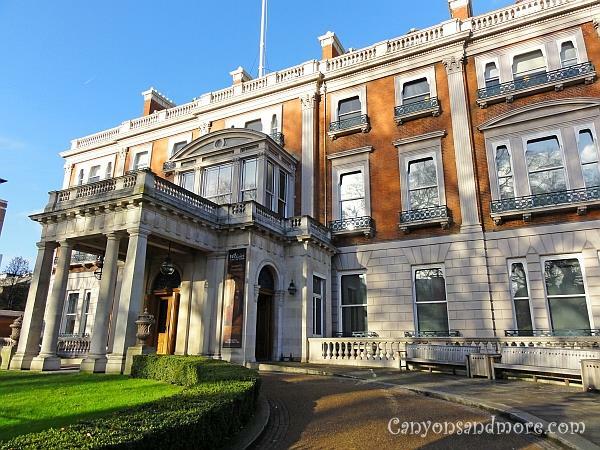 This impressive residence of the royal family is a highlight of a London visit. Portobello Road seems to be one huge flea market. 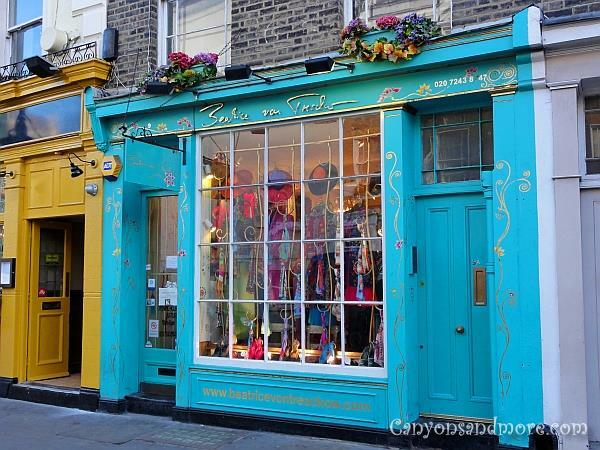 But also there are great little shops and boutiques there as well and is the highlight of any London trip. Walking from the tube to the area, we crossed several cute shops, too. The picture below is just one of the many on the way there. There is something cute and sassy about this shop front. The turquoise color stands out from the distance and the ornate gold swirs decorating it give it the perfect touch. 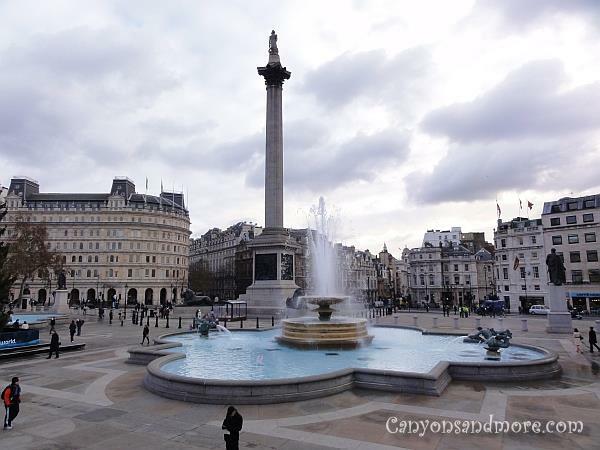 Admiral Nelson bravely overlooks Trafalgar Square of London, which is located in the center of London. The National Gallery is also located at the square for visitors to see. When you go up the steps to the gallery and turn around, you will also get a great view of the whole area as well as the clock tower in the distance. At the Wallace Collection you can enjoy a well maintained and impressive collection of armour, artworks and furniture from previous centuries. There is no fee to see the collection but a donation is well appreciated. This museum is just off of Oxford Street.